I like reggae music. I’m not a HUGE fan, but I like Bob Marley (obviously), The Wailers, Jimmy Cliff, Toots Hibbert, Lee “Scratch” Perry, and similar reggae artists. 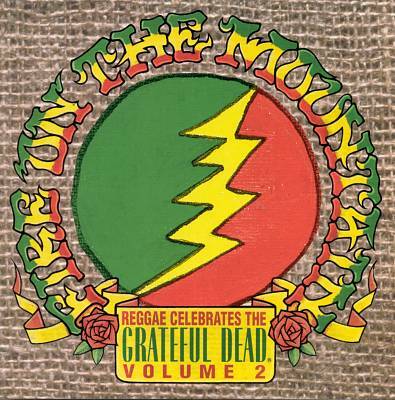 So when the Fire On The Mountain CD of reggae Grateful Dead tunes came out I enthusiastically picked it up. After all there were some big names contributing songs. I liked the first volume well enough to pick up volume two when it came out. (They went out of print, but are now available as a set.) I was pumped to see If I Had The World To Give had made it onto the album but I had no idea who Ras Michael and the Sons of Regus were. In fact, I still don’t! This is the only song I’ve heard them play, but it’s amazing! Their adaptation of If I Had The World To Give blew my mind and it as remained a favorite ever since. When I first started this project I knew that I wanted to do a week of cover tunes during Halloween week (the whole musical costume idea!) and the one song I knew from the outset that I was going to include was this one. Hopefully others will get some mileage out of it as well. If I Had The World To Give starts out in a way you would NEVER expect – with a nyabinghi drum rhythm. Add to this some ritual chanting and it’s a start difference from the plaintive love song crafted by Hunter and Garcia. The verses have a more “traditional” reggae type of feel to them. The backing vocals are very choice, too, adding a new dimension that the original lacked. The chorus section neatly folds the nyabinghi-based chanting into the song in such a way that it feels natural. They bring the scatting (or is “toasting” the correct term here since it’s a Jamaican context?) at the end to effectively bookend the song. A great showing indeed. Tagged Dead Cover, Ras Michael & The Sons of Regus, Reggae. Bookmark the permalink.